An analogue time display fits best into a circular watchcase. Accordingly, all TRES models have a perfectly cylindrical stainless steel or titanium case. It is the design and the mounting of concealed strap lugs inside the base of the case that makes it possible to develop a watch with such formal clarity. 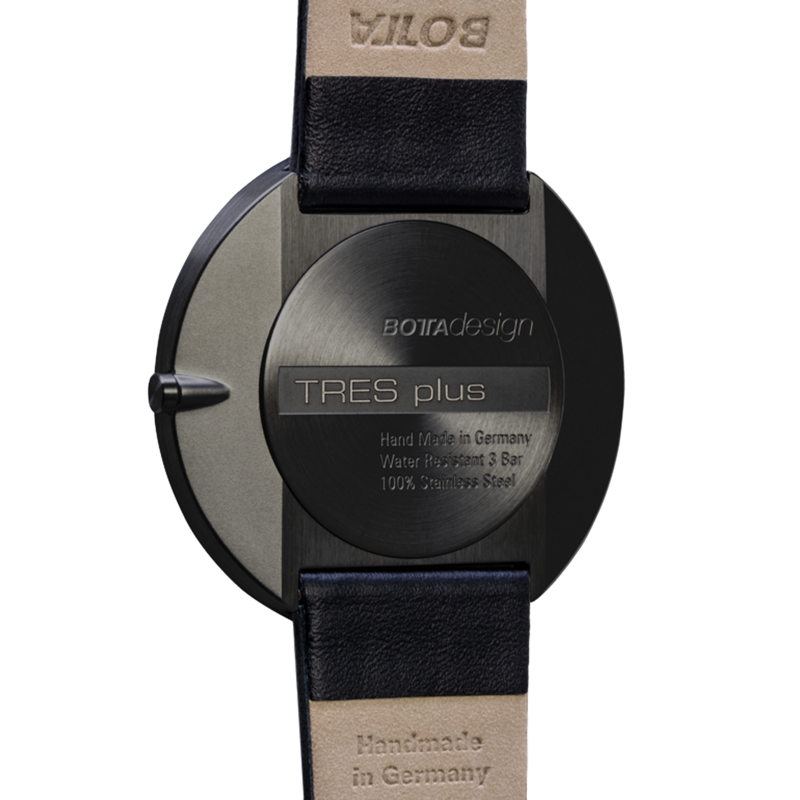 Despite its 44 mm diameter, the TRES plus can also be worn on relatively narrow wrists thanks to the integrated strap lugs. The two bevelled flanks on the underside of the case also allow considerably more freedom of movement for the wrist and forearm, thus allowing the air to circulate better at the same time. The design of the underside makes the 6.2 mm high watch look even flatter. No matter from which perspective you look at the new TRES, it always looks architecturally clear and aesthetic. The double-domed sapphire crystal with its pronounced narrow stainless steel top ring complements the elegant lines of the entire watch. 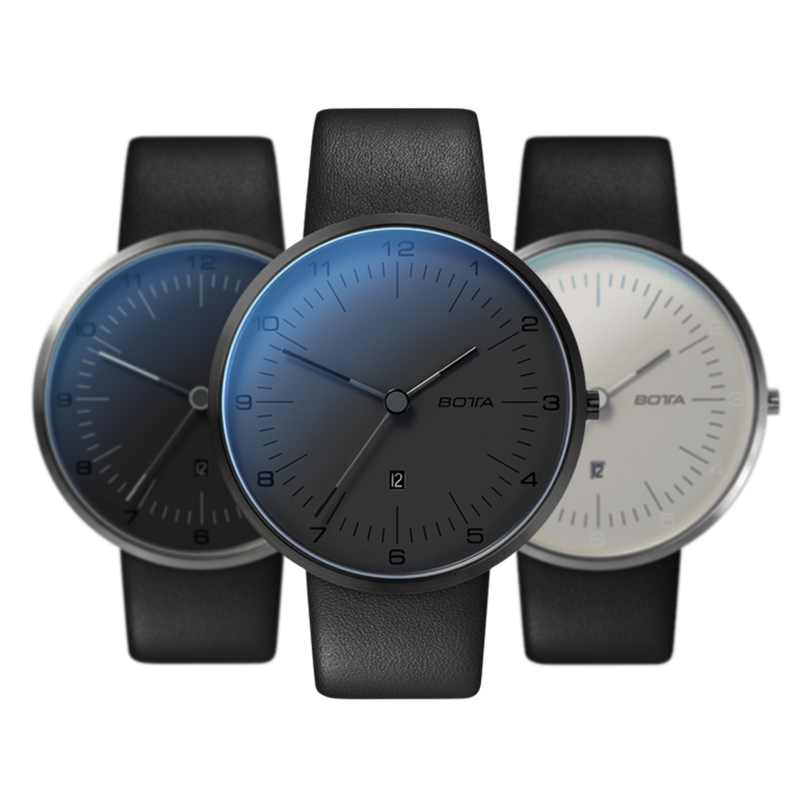 The anti-reflective coating on both sides of the watch glass provides a significantly improved transparency and colours the considerably reduced reflections on the watch glass in a subtle bluish shimmer. The new TRES is for people with the highest standards for design and quality. 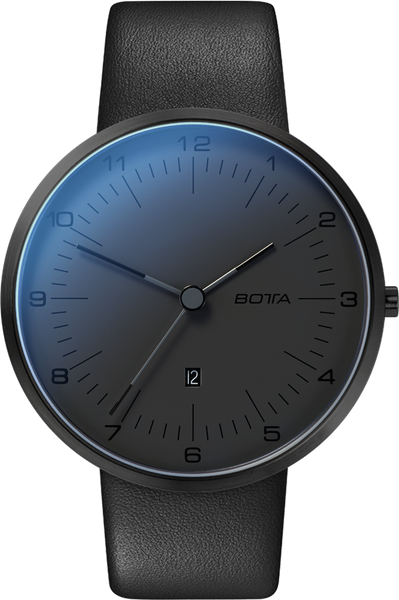 The quartz version of the TRES plus watch from BOTTA design is driven by a Swiss-Made Ronda quartz movement. Unlike the much cheaper “Swiss-Parts” movements, the components in this movement are manufactured and assembled entirely in Switzerland. The original Ronda movement ensures that the TRES plus will run smoothly and precisely for many years, which reflects the BOTTA principle of technical and design durability in its German-Made watches. The TRES plus All Black will be shipped . Until then, the model can be pre-ordered at a discount of € -50. Shipment will be on a first come, first served basis.